The news of the horrible attack that killed nearly a hundred peace activists in Ankara on October 10th came as a punch in the gut! By now most people are used to shocking and violent events in the Middle East and with each event we are getting more and more desensitized to violence and suffering there. But in spite of that, the news from Ankara was heart breaking. In the past five years I have visited Turkey about 20 times and it feels like a second home. So this attack hurt more than the usual bad news. This is the seventh major terrorist attack in Turkey in 2015 and the most deadly one yet. The previous one was on July 20th that killed thirty-two in Suruc. The attackers remain unidentified even though most people suspect it was ISIS. ISIS is a media whore that likes to take credit for its attacks and even runs a sophisticated social media campaign to disseminate its deeds but for mysterious reasons it seems that it is averse to taking credit for attacks in Turkey. This attack is a major event and I hope that Turkish leadership recognizes the reality that Turkey now faces a critical turning point. Its Middle East pivot has made Turkey less stable and less safe. It is time to rethink Turkey's foreign and security policies. It can either return to being the Turkey of 2012 when it was a rapidly growing economy, a model of good governance and an attractive balance of secular state and Islamist politics. It was touted as the example to emulate by the Muslim World. Or it will become the Pakistan of 2013, an electoral democracy rocked by Muslim extremism, an avalanche of terrorism and divisive politics that tear a nation apart. Accountability of government and prudence in discourse seems to have disappeared from the public sphere. No matter how many intelligence and security failures take place the government does not seem to take any responsibility for the failures to protect. President Erdogan who likes to take credit for everything, including the discovery of America, takes no responsibility for failure of governance in security matters. And opposition politicians are quick to blame their own government for terrorism. Neither reckless accusations nor lack of responsibility is good politics in moments of crisis. In the early days when the ruling Justice and Development Party (AKP) was on the rise, good governance, economic success, broad based development and democratic expansion were its key drivers and also the ingredients that gave AKP unprecedented success and made its leader Recep Erdogan a folk hero in the Muslim World. The recent rise of Turkey and AKP were concurrent and the basis for it was the governance record of AKP. But in the past few years, Erdogan and AKP have relied more on identity politics than development strategies to sustain and consolidate their power. Listening to Erdogan rant and rave about Egypt gave me the impression that when he grows up he wants to be like Mohammed Morsi. Turkey sought to insinuate itself into the political consciousness of the Arab World intoxicated by its self-perceptions of "soft power." Erdogan and his foreign policy administration failed to see that whether it was in Syria, or in Gaza or in Egypt -- the targets of this soft power -- Turkey failed to make any impact on the politics abroad. It just consolidated AKP's vote base at home using a pan-Islamic foreign policy as a wedge between AKP supporters and its secular opponents. Turkey turned its back to the West and rushed to embrace the Arab World. The post-Arab spring Islamists riding on their own electoral success appropriated the Turkish model to make themselves acceptable to the West but it eventually failed. The much-touted soft power may have helped popularize Istanbul as an investment and tourist destination and Turkish soap operas in the Arab World but it did not give Turkey the regional leadership it sought. Nor did it give Turkey the leverage it sought vis-a-vis the West as a leader of the Middle East ready to act as a bridge and broker. This Middle East pivot by Turkey has made it more and more like the Arab Middle East. The divide between secularists and the Islamists is widening, the flirtation with Arab Islamic movements has led to an unhealthy proximity with the more violent groups such as ISIS. The number of Turkish recruits to ISIS is on the rise and when they return to Turkey -- the borders of Turkey are more porous than ever before -- attacks such as the one in Ankara this week will become more commonplace. Turkey must sanitize and insulate itself from the region's self destructive instincts. Today Turkey is more divided than ever before at home and more susceptible to foreign powers. Russia violates its airspace and ISIS violates its territorial space. Its time to mend fences at home and on the border. Turkey's success and failure is germane not just for Turkey. 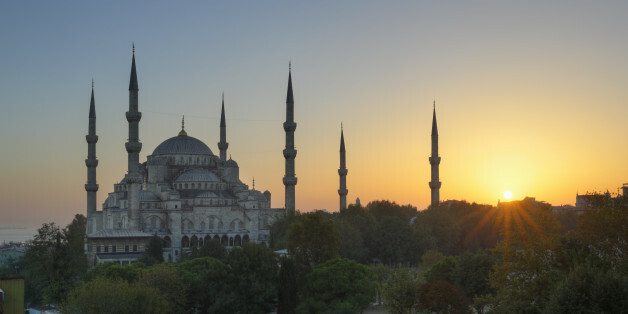 The promise of the Turkish model that attests to the compatibility of Islam and modernity, Islamism and democracy and the coexistence of mysticism and capitalism remains a beacon for the rest of the Muslim World that is struggling to cope with the challenges of modern institutions and politics.